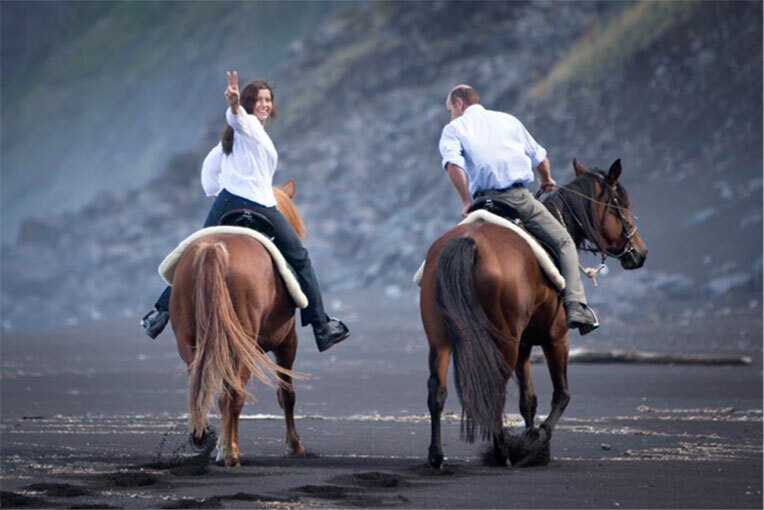 Our Riding Holidays Azores - Individual is the low priced alternativ to book horse riding holidays in the Azores. 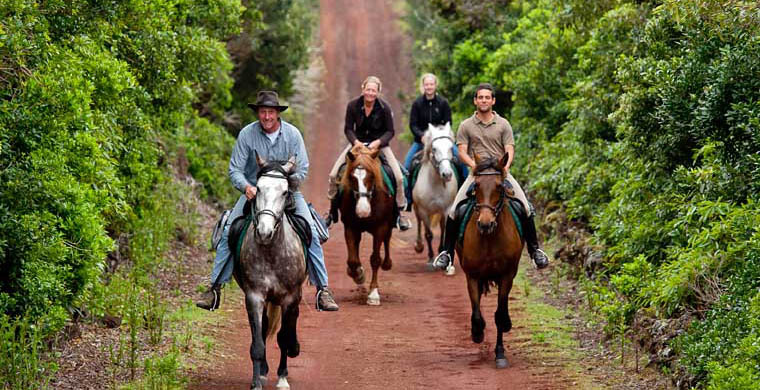 Pre - purchased activity units are exchanged on site for riding lessons, rides or trails. You stay flexible and can ideally adapt the riding to your holiday program and budget. 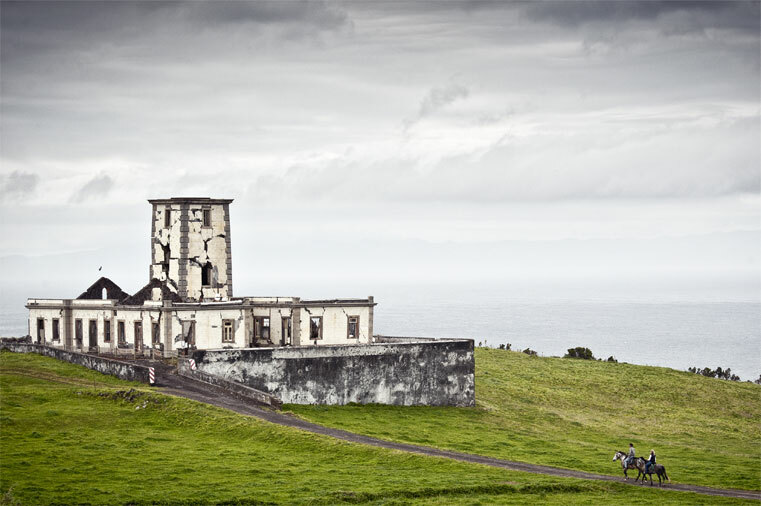 During the 8-day Riding Holiday Azores - you choose your individually personal program. 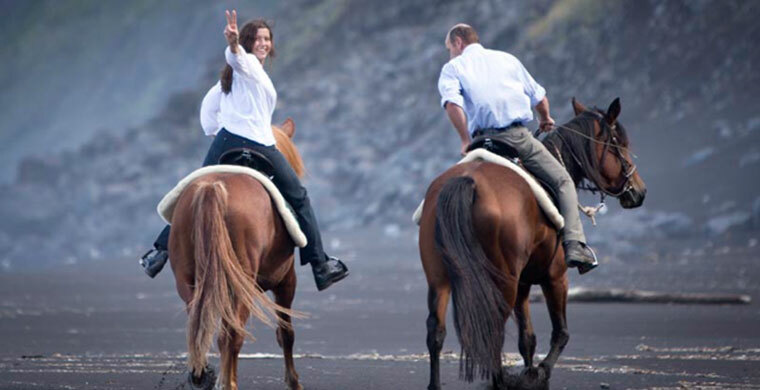 Horse riding on the unique island of Faial or one of many other exciting ideas. Stay overnight at the lodge, breakfast included. "More individual you can´t make it. discover the island on your own." 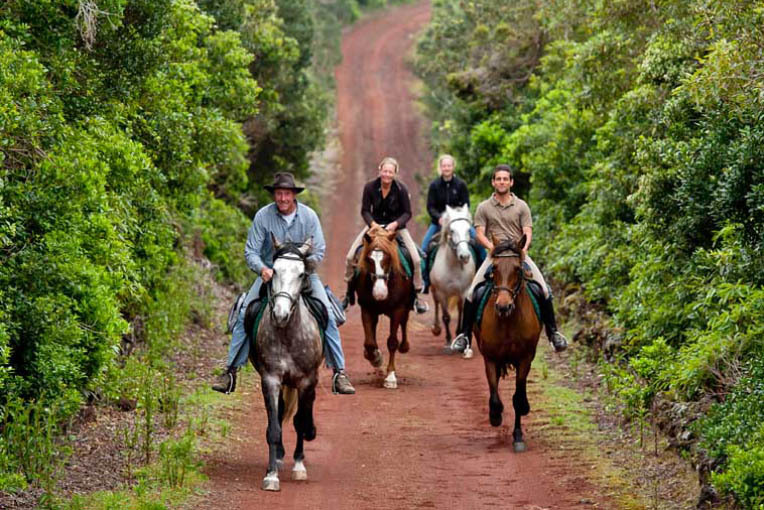 Ride on our safe Lusitano and Cruzado Portuguese horses around the lodge. Guided tour from 1.5h to 3h ride through a dreamlike island landscape. 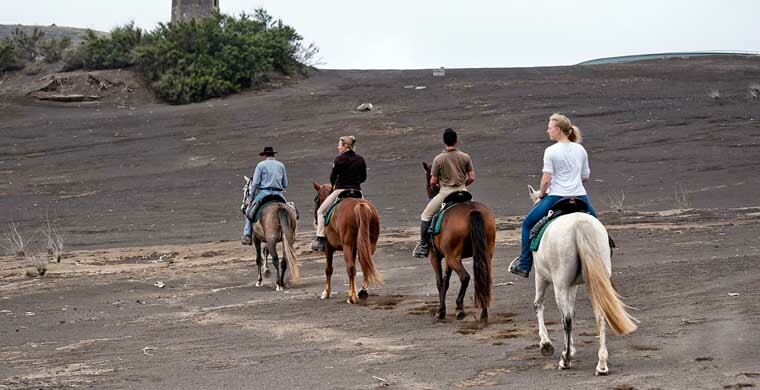 Join a Horse-Trail for one day. 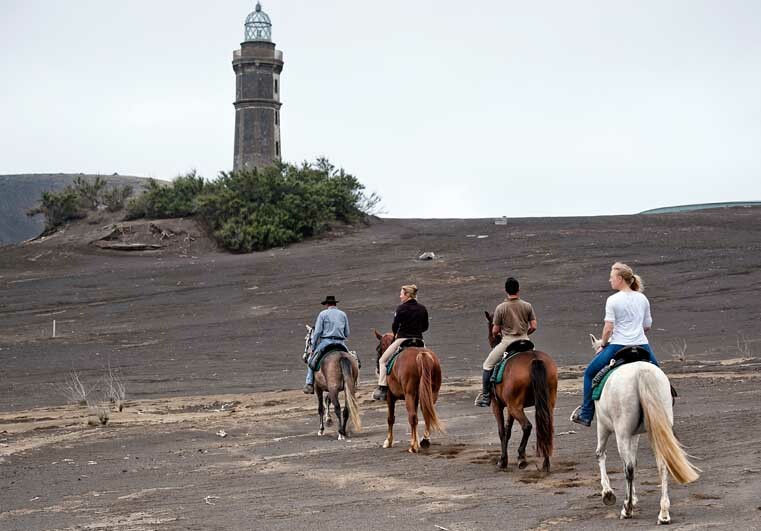 You will ride the whole day to the top highlights of the island of Faial. Your trail guide will introduce you to the island. Wild nature and fascinating views included. The must do! Discover the huge sea mammals just off the coast. A team of marine biologist and skipper accompanies you on this exciting tour. Swim with dolphins in their natural element. The gentle animals approach you up to one meter. Marine biologist and skipper accompany you. 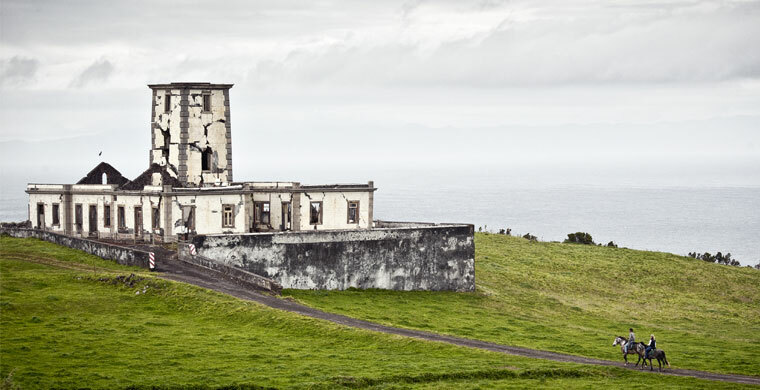 With the Jeep or Van, you go on discovery tour around Faial. A day full of highlights. Island crater, sleeping volcano Capelinhos, sea swimming pool and the city of Horta. Jurassic Park pure. The deep bottom of the island crater lies at a depth of 400 meters. With your guide you descend and discover the jungle at the bottom. Only dinosaurs are missing. Be free and free with your scooter. Find hidden places and dreamy villages. Hold wherever you want it. Sharing a double room on request and only when available. If this option is not available, we charge a single room supplement. The holiday is also suitable for accompanying nonriders. Able to ride in all paces. Sufficient physical condition to hack for 4-5 hours. Max. riders weight 95 kg. We expect support from our guests in feeding the trail horses, saddle and tacking and cleaning the personal trail equipment. We suggest that you bring the following special equipment with you: waterproof trekking footwear, windproof and waterproof jacket and trousers, riding helmet, small refillable water bottle. Raincoats can be rent for 5 €/day. Riding equipment is free of charge up to 10 kg with the Azores Airlines.